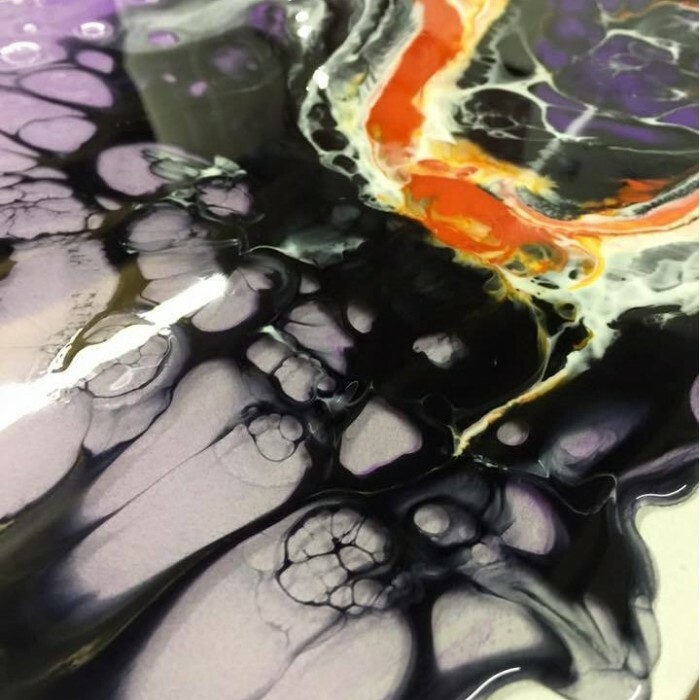 resi-BLAST is an innovative, single part liquid additive that can be dropped into wet and coloured art resin to create cells. The additive is commonly referred to as a dispersant, interference or distressing medium. 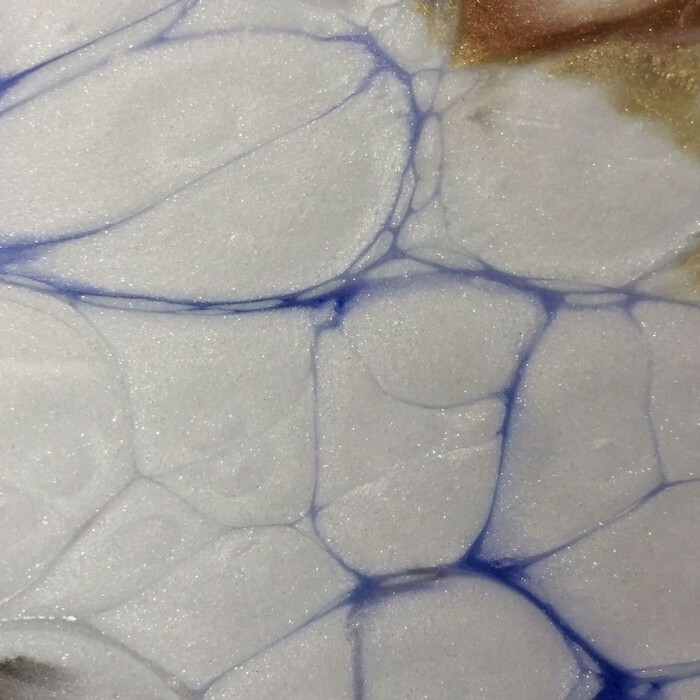 We often get asked about producing a single part liquid that can be dropped into wet pigmented resin to create unusual and unique visual effects. 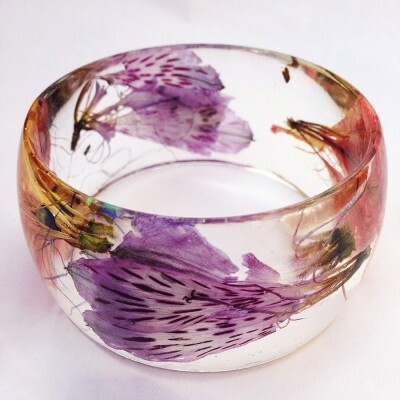 Our resin art customers enquire about creating "lacing", cell structures, colour dispersion and colour gradients. The solution is here! resi-BLAST is a single part polymeric liquid that reacts with wet epoxy, polyester and polyurethane resins by repelling itself away, thereby stimulating movement in concentric outward circles. 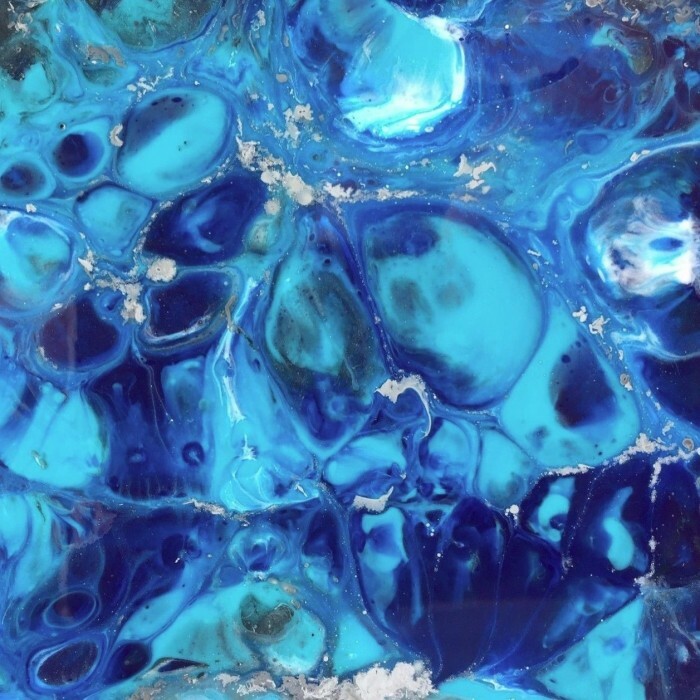 It is not a paint or resin and will not cure on its own. This dispersion reaction creates motion into self contained cellular structures as seen in the photos. resi-BLAST can be used along with our resi-TINT range of acrylic pigments or the range of resi-METAL metallic pigments. 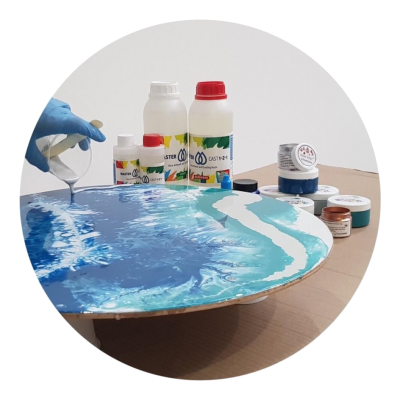 Please Note resi-BLAST was developed and tested with our own proprietary artwork resins, MasterCast 1-2-1, totalCAST, UltraCast XT, General Purpose Clear Epoxy resin and CER (Clear Epoxy Rigid resin). Similarly the pigments used are exclusively from our own resi-TINT range. As a result we are not able to offer technical advice or performance warranties when used with other brands of resins and pigments. 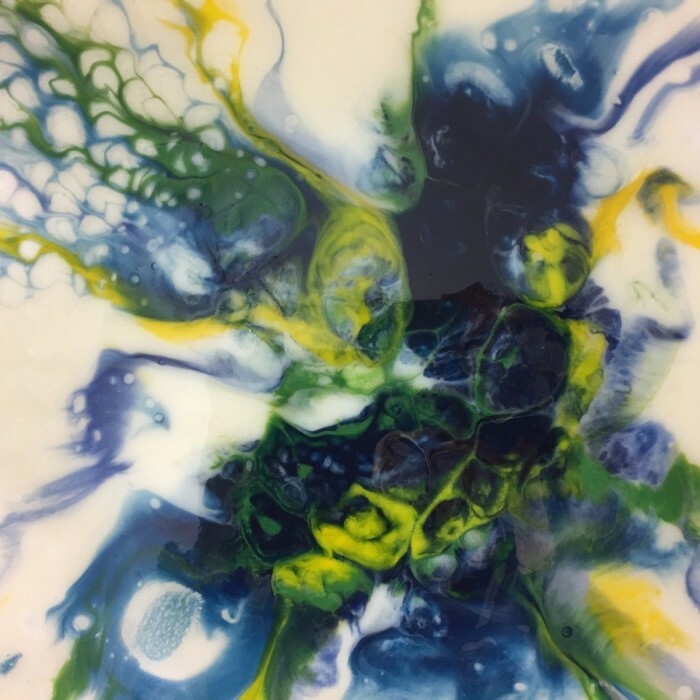 For best results add one or two drops of resi-BLAST to a couple of your pigmented cups of resin, pour the resin mixture onto your work and watch the cells form. Applying heat to the area with a heat gun will enhance the effects. 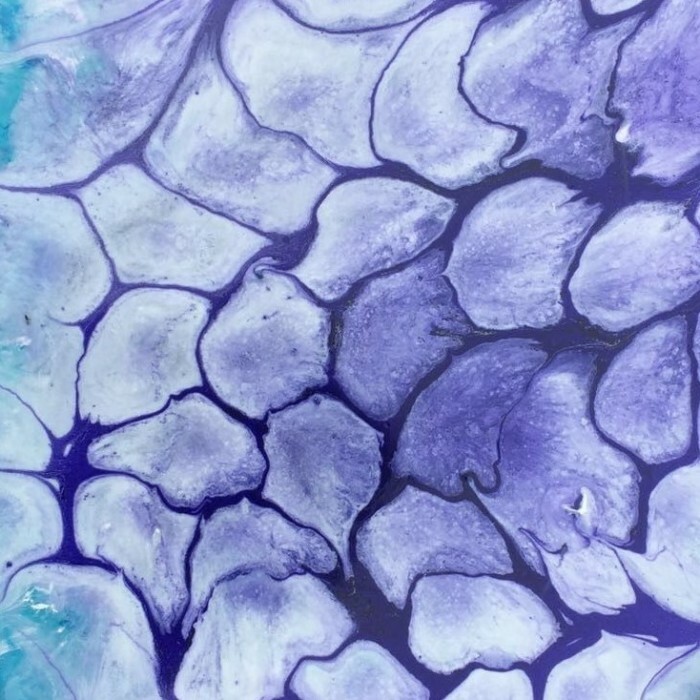 Alternatively droplets can be added to the pigmented resin surface immediately after mixing/pigmentation. Movement happens immediately and can be further enhanced by applying heat in that area. Do not wait for the resin to gel or partially cure as resi-BLAST will not work. 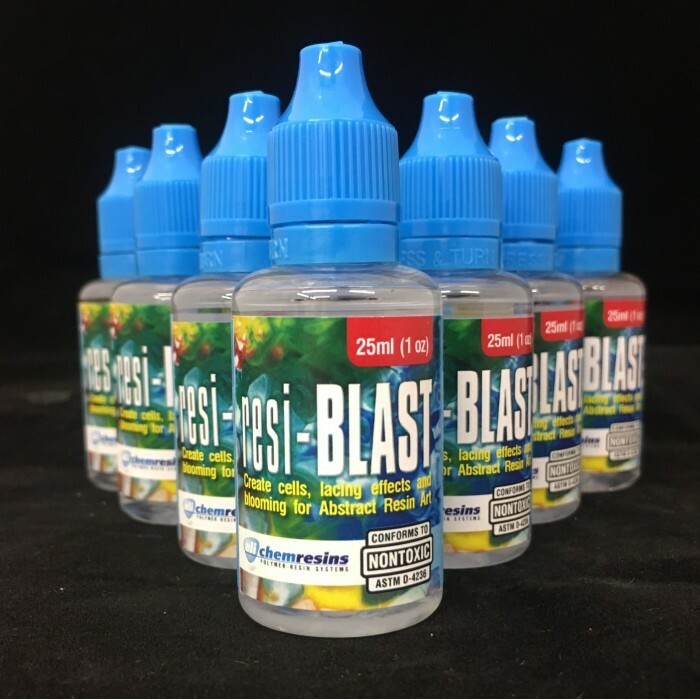 resi-BLAST will not react or retard the curing cycle of the resin. 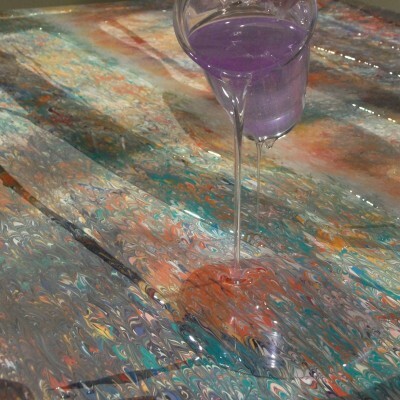 The additive may leave shallow uniform depressions in the resin surface which can add to its optical effect. 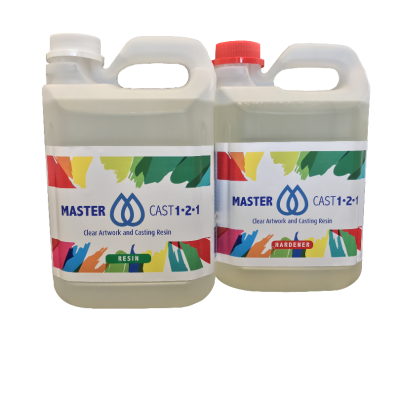 In addition any residue of the additive will migrate to the surface of the resin and should be wiped off with a dry cloth after the resin has fully cured, please see individual product datasheets for this info. 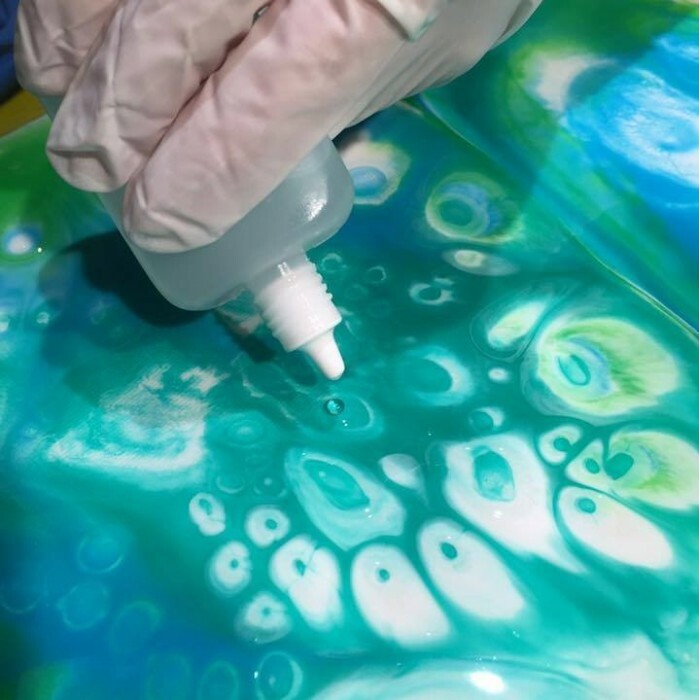 This residue can also act as a polish layer to further enhance a glossy resin surface.